I was watching the Netflix series "Medici: Masters of Florence" and the character of Cosimo Medici is commissioning the completion of the dome on the Cattedrale di Santa Maria del Fiore (Cathedral of Saint Mary of the Flower). In explaining to his family why he is spending scarce resources at that time of tight money Cosimo shows a clear understanding of economic systems. 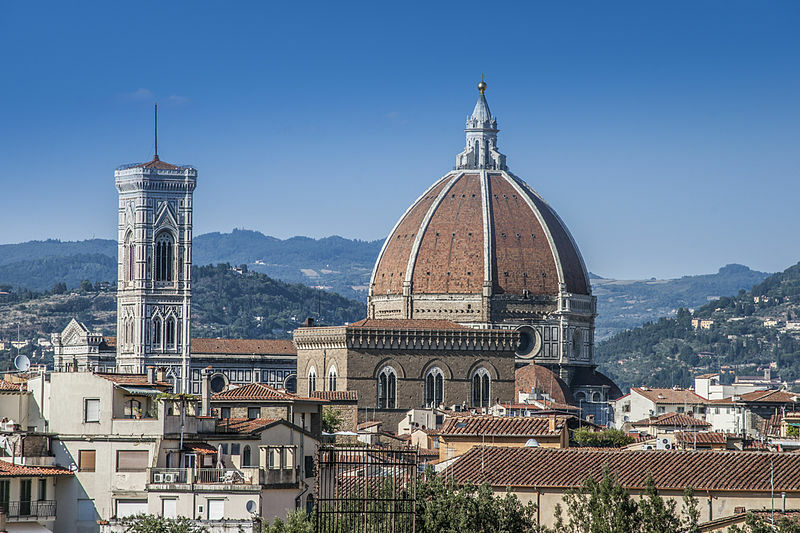 The general population of Florence is in the middle of a recession caused by the war. So much money is being channeled into financing the war that normal trade suffers. Cosimo wants to finish the cathedral while his family thinks they should keep the ready cash in the vaults. Cosimo realizes that investing in completing the cathedral will directly employ hundreds of workers. Those project will buy bricks and other supplies that will, in turn, employ hundreds of additional workers. Those workers will buy food, clothes, the rest of the things they need for their daily lives. That money will, in turn, will come back to their bank as the bank will directly profit. Cosimo understands a simple principle that modern business has forgotten. The more money that concentrates in just a few hands the less is circulating in the marketplace. Less money circulating directly results in less growth overall. The small towns in rural America didn’t die off because of the demise of the small family farm or the advent of machinery. The small towns died because of a diversion of capital. The large corporate agribusinesses concentrated the profits from farming into a few hands and then diverted those profits to the financial centers. Without local capital, the small towns died. Before the industrial age, the land was the source of wealth. When that wealth became concentrated in too few hands we saw the “land reform” movements. Those movements were a range of political activism extending across to actual revolutions resulting in civil wars. We are witnessing a similar series of events in the financially based economy in the United States and perhaps globally, or at least in the industrialized section of the world. I see only three possible solutions. The people into whose hands that wealth is being concentrated, as Cosimo Medici did, recognize that they must invest in the general population. Failing that the government must enact regulations to spread the wealth back to the broader population. When all else fails, then the people will break the system with “pitchforks in the streets”. Enlightened self-interest should cause the holders of great wealth to recognize that sharing the rewards of economic success with the people who actually do the work is much preferred to government regulation or bloody civil war.